Demand: Consumers expect this degree of self-service capabilities and they’re more vocal about their frustrations when an institution doesn’t make self-service payments available. Technology: Advances in self-service channels are making it easier to meet the operational and risk requirements of financial institutions. Affordability: Card-brand costs, specifically the recent cap Interchange Rates made by Visa, are making cards far more affordable for larger debt payments. As a third-party payment processor, we invest heavily in technology to ensure our clients have a solution that is effective for all the channels that their customers would use to make a payment to their account. Account holders expect frictionless transactions within and between the accounts at their financial institutions. We enable institutions to offer such services without having to worry about sizable capital expenditures or managing the necessary systems to power such transactions. Omnichannel is a comprehensive and intentional strategy to support payments across the board as the critical customer service touch-points at a financial institution, including online. Omnichannel ensures that there is a plan to support customers for in-person, phone (live or IVR), mobile, desktop, and more; the plan will ensure that business requirements (i.e. risk controls and operational capabilities) are built into each channel. This allows omnichannel support, even if 100% functional parity cannot be attained because of external factors. One factor that should be consistent across all channels is the acceptance of card-sourced funds. Consumers are far more likely to have their debit card with them than they are to have ACH account and routing numbers. We’re seeing the costs of card payments in our niche space dropping significantly and becoming more affordable—which is a great benefit to both institutions and their borrowers. The Infection Approach: The leader of a division or department decides they need a single channel solution for their organization but recognizes the need for an enterprise omnichannel solution. This leader, understanding the prioritization complexities a cross-functional deployment (marketing, other call centers, digital, etc. ), could deploy a point-solution specifically for their division. As such, the division leader would work with our implementation staff to deploy the division’s solution but would be empowered with the understanding that our solution can easily be expanded to additional channels as the financial institution’s cross-functioning teams have the capacity to integrate additional channels. 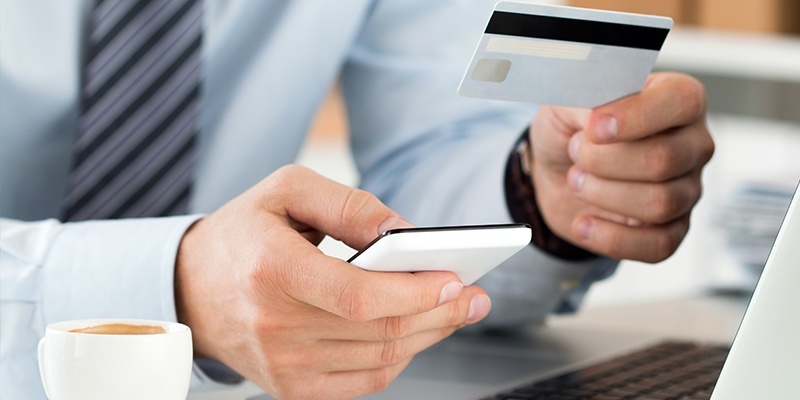 The division leader’s success with her own payment channel is often a very powerful influence on other divisions and helps grow support for omnichannel solution from other division leaders. This approach may have a longer duration overall, but it allows for more granular resource planning, allowing divisions to tackle projects already in-flight. Top-Down Leadership Directive: Decision makers give the directive to implement an omnichannel solution. In this case, our implementation team would organize a project for an enterprise-wide deployment and would lead the institution through the sequence of events and deliverables that will result in an efficient deployment across the organization. This approach will result in a shorter duration as the deployment manpower will be made available all at once for a focused initiative. Communication is certainly key. Customers need to be informed early and often that options are available to them, how they can use them, and ultimately, how they will benefit from using them—i.e. save time, avoid late fees with prompt payments, etc. Websites, newsletters, social media, in-app messaging, IVR messaging, and team-member scripting are all important components of distributing this information. A couple of other key considerations institutions should keep in mind when developing or expanding their omnichannel payments capabilities include features and fees. Features: While an omnichannel strategy may require having different features available through each channel, it is important for institutions to offer as many features as possible. Leverage Fees to Drive Strategies: By evaluating the need for payments solutions, financial institutions may find opportunities to offer fee-free solutions within one or more channels of their strategy. If a strategic channel is struggling to grow users, then discounting fees or waiving fees for the channel may help. Conversely, increasing fees for some of the more expensive channels (i.e. live calls) can also help sway utilization. Are you a mortgage servicer looking to offer debit card payments options to your customers? View a FREE on-demand webinar to learn how to leverage convenience and payment flexibility to delight your customers and improve efficiencies. Watch Now!